In the article “Solitude: The Foundation of Personal Leadership” we spoke to how productive solitude is essential to the effectiveness of church leaders. Prior to our cacophonous age, leaders naturally found solitude anytime they were physically alone. In today’s world it can be difficult to find times and places to be alone with our thoughts as we are surrounded with a swarming variety of inputs and intrusions through most of our days and nights. In years past, solitude was so accessible that leaders used solitude without even being aware of it. Today it takes a conscious, concerted, and disciplined effort. 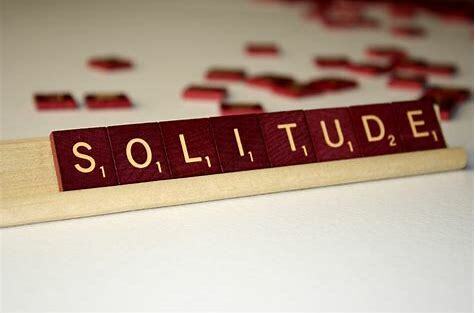 If solitude really is essential to effective personal leadership, then when and how do you summon the strength, find the white space in your calendar, and establish zones of solitude? First, remember that a key element of solitude is mental isolation, which is the antithesis of accessibility, input, distractions, and interruptions. Secondly, be aware that solitude can be sustained, or intermittent, and can found as readily in a fast food restaurant as on top of a serene mountain. Finally, systematically build pockets of solitude into your life, times when nothing is scheduled. What follows are examples of some ways to create pockets of solitude during the workday. There are several simple ways to prepare for times of solitude to make those moments more productive. Prayer: Ask God for the Spirit of knowledge, understanding, counsel, and wisdom (Isaiah 11:2-3). Percolate: Prioritize in advance the issues, problems, opportunities, and decisions you will want to reflect upon. Principles: Identify the scriptures, beliefs, and values that will undergird and serve as filters for your time of solitude. Plan: Collect the materials, books, and resources that you think especially helpful to getting your mind processing. Embrace the discipline of solitude as the foundation of your personal leadership development and you will come to rely on and treasure solitude as you experience its benefits.